South Sound Solar began installing renewable energy systems in 2008, and Sustainable Electric continues the commitment to energy efficiency, conservation and renewable energy generation. Our educational approach to sales and service empowers customers to make informed purchasing decisions to lower their utility bills and reduce their carbon footprint. 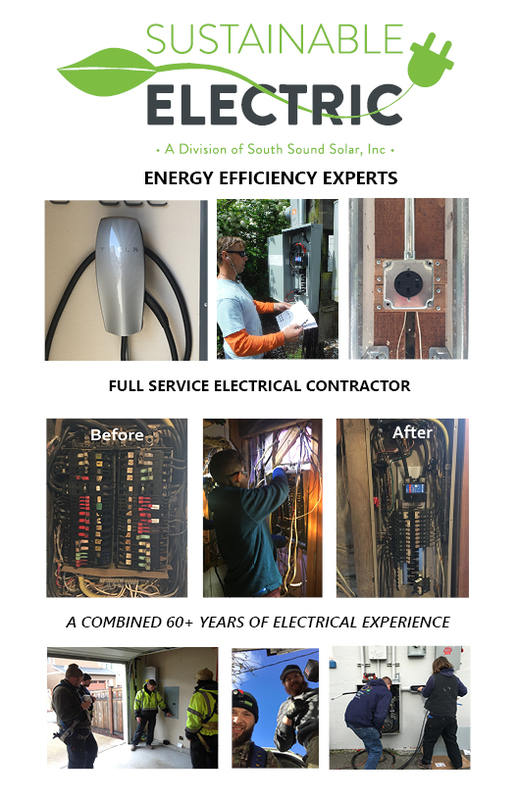 South Sound Solar remains the premier solar installer in the South Sound and along with its new division, Sustainable Electric, will continue to provide excellent customer service to our local communities’. Contact us today to schedule an appointment or get a quote.